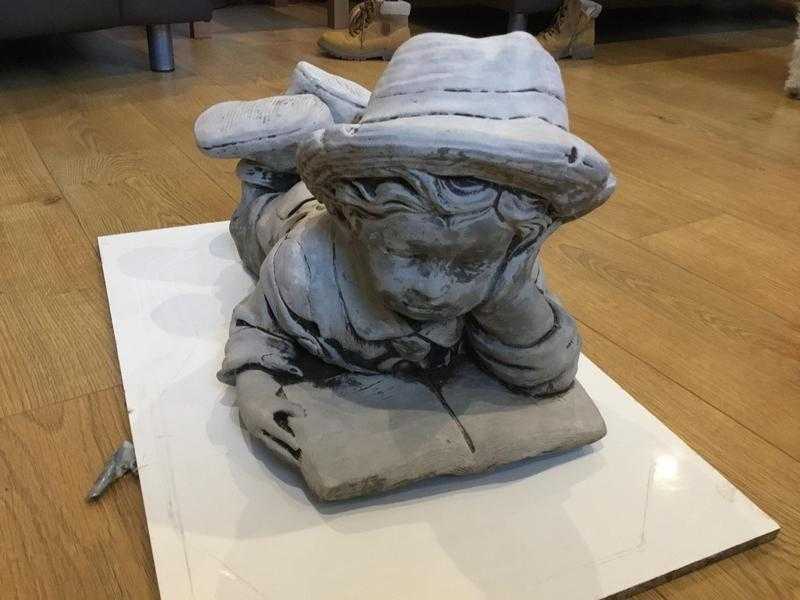 Concrete garden boy and girl lying reading ornament 12ins high,brand new,cost £90 from garden centres for a pair,calls only no texts please. No time wasters wanted. NO.